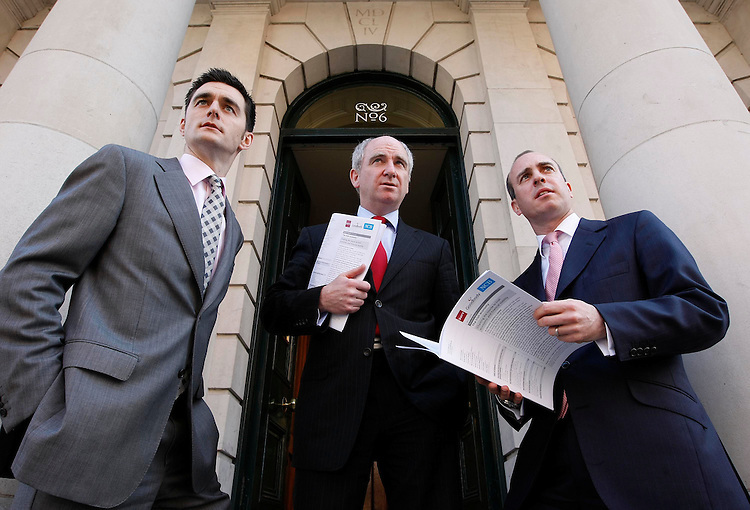 Rossa White, Chief Economist, Davy (left) with Bernard McAlinden, Head of Research and Stratagey, NCB and Eamon Hughes, Head of Research, Goodbody Stockbrokers (right), pictured here at the announcement of the joint Davy/Goodbody/NCB report "Charting the Course to Irish Economic & Financial Stability", held in the Royal College of Physicians, Dublin. Pic. Robbie Reynolds.